One of the most ironic things we often hear from professional communicators is that they and their colleagues have trouble communicating. That’s because people have different communication styles. And as technology offers so many new ways to talk to each other, the communication gap continues to grow in many organizations. How can we effectively communicate with colleagues and clients while keeping personal (and technology-driven) communication styles in mind? We can do this by understanding how people are comfortable communicating — and, conversely, what might scare them away. Years ago, when I was teaching a business communication course at a local college, a student in my class shared his frustration with how one of his clients never seemed to know or remember what was seemingly well explained in an email. This made for a lively classroom discussion. Did his client not use email? Did he prefer updates on paper or in person? None of these was true. We discovered that the seemingly well-explained updates were just that — a few short sentences that he was writing in a Word document and attaching through email. His client was a busy manager who had hundreds of emails every day — taking the time to open a Word document, only to see a very short update, just wasn’t working for him. It wasn’t his communication style. That was almost 20 years ago. Today, with so many new ways to communicate, it can be difficult to know which is the best way to talk to clients and colleagues. So, how do you decide? You ask them. Nothing can replace in-person communication. The best client and colleague relationships come from getting to know a person — and, as an extension of that, getting to know how he or she prefers to communicate. These days, with so many people working remotely, it’s not always possible to talk face-to-face. But regardless of how it’s done — over FaceTime, by email or over the phone — it’s important to ask clients and colleagues how they prefer to hear from you. After you both decide, stick with it. If a client prefers email between phone calls and in-person meetings, don’t mix in texts or social media messages. If a colleague prefers to use collaborative programs such as Google Docs and Sheets, keep those documents updated. Set an alert on your calendar to remind you to update them, if necessary. The best communication should be consistent. And it should be in a reliable place where a colleague or client can reference it when necessary. And while you’re discussing communication preferences, ask how often your client or colleague wants to hear from you. The student in my class, for instance, should have given his client fewer updates, but with more information each time. I’ve worked with colleagues who preferred to meet in person with me every week, and others who believed occasional email updates were adequate. I’ve been on teams that met daily and others that tracked everything through CRM software. I’ve worked with clients who preferred to talk semi-regularly about business over lunch and others who were committed to a weekly conference call. The most important thing is knowing what works for my clients and colleagues — and, of course, knowing what ultimately works for us as a team. 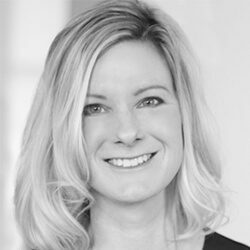 Michelle Franzen Martin brings more than 20 years of award-winning marketing and communications experience to MCCI, having held leadership positions in both the corporate and nonprofit sectors. A former journalist turned marketing pro, her creative work has been recognized by a number of organizations including the Detroit Creative Directors Council, Society of Professional Journalists, Council for the Advancement and Support of Education and International Association of Business Communicators.